« Join ECA at the Poor People’s March in Washington, D.C. This webinar will focus on how we can effectively organize as elders to expand our reach, strengthen our resolve and provide a sustainable future for all children. Our dynamic keynote speaker, Heather Booth, has a lifetime of experience successfully organizing citizens to bring about social change. Heather will be followed by a discussion led by Elder Activists, John Sorensen and Lynne Iser, who will discuss how we elders can engage and act now to preserve the planet for future generations. 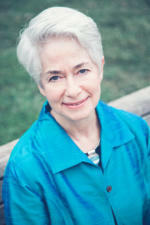 Heather Booth began organizing in the civil rights, anti-Vietnam war and women’s movements. She was the founding Director, now President, of Midwest Academy, training social change organizers. She has managed political campaigns and was Training Director of the Democratic National Committee. In 2000, she was the Director of the NAACP National Voter Fund. In 2008, she was director of the Health Care Campaign for the AFL-CIO. In 2010 she was founding director of Americans for Financial Reform, to regulate the financial industry. She was national coordinator for the coalition around the Supreme Court decision on marriage equality. She was strategic advisor to the Alliance for Citizenship (the largest coalition of the immigration reform campaign).